Throughout his legal career, Eugene Gozenput has established himself as a distinguished trial attorney as well as an excellent negotiator. Having taken numerous verdicts as lead trial counsel in various State Courts of New York, Eugene Gozenput has developed a reputation as a well-respected litigator by his peers and as a voice for those who have suffered irreparable harm. Eugene’s trial advocacy and litigation skills have resulted in numerous settlements and verdicts on behalf of his clients. 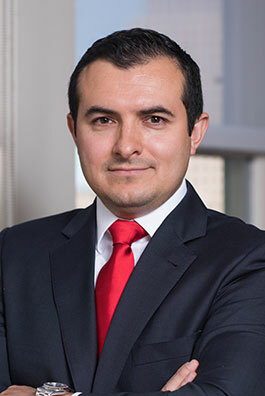 Combining his court room presence with the care and dedication to his clients Eugene Gozenput was recognized as a SuperLawyers Rising Star in the New York Metro area. As a result of his hard work, compassion and the results he has obtained for many of the firm’s clients, Eugene has become an invaluable resource to the firm. He handles a vast array of cases, including motor vehicle accidents, premises liability, medical malpractice, civil rights violations, products liability, construction and work site accidents, and many others involving serious injuries and wrongful death. Eugene’s meticulous approach to the preparation and trial of cases has produced millions in recovery for his clients. Eugene Gozenput has litigated cases in both Federal and State courts of New York. In addition, Mr. Gozenput has represented his client’s in the appellate courts, having drafted and argued appeals in the State courts of New York. Eugene graduated from New York Law School in 2005. He has been a dedicated member of the New York State Trial Lawyers, AAJ and The New York County Lawyers Association. Eugene is also heavily involved with Young Lawyers Committee for the New York State Trial Lawyers and frequently works with younger attorneys to help them navigate in this complex practice. Eugene Gozenput has developed a reputation as a well respected litigator by his peers handling many cases in one of our General Negligence departments.